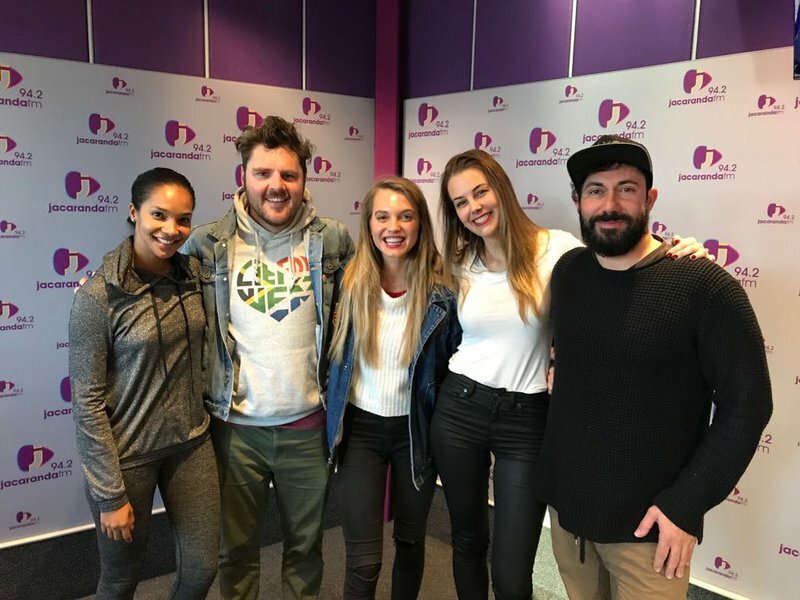 Bouwer Bosch and Leandi du Randt-Bosch puts the power in power couple on Breakfast with Martin Bester. Not only since they are married but because they make a mean team in the new Thys and Trix movie, due for release this Friday. With Bouwer and Leandie around, a Monday won’t ever be dull. Martin Bester initiated a round of 30 Seconds and Bouwer and Leandie did exceptionally well! Are you feeling the World Cup fever? Leandie took it upon herself to spin the “Russian (and Chips)” to predict the outcome of three football games. Let’s see if the “Russian”’s will be correct! Thys and Trix are siblings and eager yet helpless police officers. Their constant feud results in their expulsion after it causes yet another embarrassment for the police service. Detective Solomons is investigating the activities of a crime syndicate in an exclusive golf estate outside Mossel Bay.